China continues to be one of the largest growing markets for the coffee shop industry, with estimates of market growth ranging between 5-9% per year, according to different consultancy reports. Such growth is an attractive prospect for large international coffee shop chains, as well as other competitors, keen to capitalise on the interest in coffee and coffee shops. 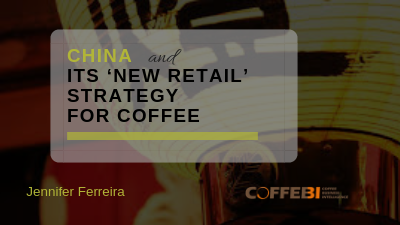 If you follow the news about developments in the coffee and coffee shop industry then you may have seen recent articles about the growth of coffee shop culture in China, in particular about the rapid growth of Luckin Coffee, (a Beijing based start-up that aims to overtake Starbucks), the ambitions of Canadian chain Tim Horton’s to expand into the Chinese market, or the partnership of Starbucks with Alibaba to introduce a delivery service in China. 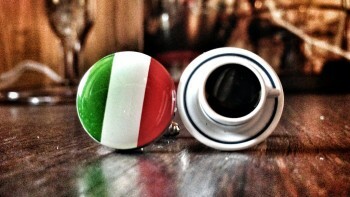 All of these articles highlight how China is seen as a potential area of growth for the coffee shop industry. China is currently the second largest market in the world for Starbucks, behind the US, with around 3400 stores across the country, and plans to have around 6000 as part of its organic growth strategy. 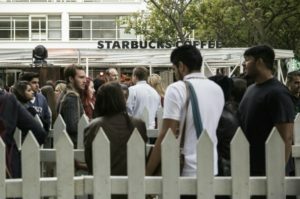 This announcement from Starbucks comes at a time when the company has recently reported falling sales growth, and is facing increased competition from other international brands such as Costa Coffee or Tim Hortons, as well as the recent player in the market, Chinese-based Luckin Coffee. Luckin Coffee, a Chinese start-up, only emerged on to the coffee shop market in China at the end of 2017, demonstrating rapid growth to become the country’s second largest coffee shop chain with ambitious future growth plans. By August 2018 it had already opened 660 outlets in 13 cities across China. Luckin Coffee uses an app for ordering coffee which can either be delivered or consumed in/collected from one its outlets. The business has mainly targeted offices and malls for its stores and ‘delivery kitchens’. 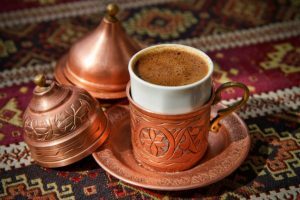 It is ahead of Starbucks in the delivery game, and also prices its coffee slightly cheaper, which in a country where coffee is a premium product, may have an impact on consumer choice. Both Starbucks and Luckin, by using this new use of technology and delivery, are engaging in what is seen to be part of the ‘new retail’ strategy. The term ‘New Retail’ appears to have been created by Alibaba to describe this merge between online and offline consumer activity. It is seen as the complete digitisation of all commerce, which according to the company, is the key to saving traditional retail by adapting to the new digital world. Alibaba has produced a short video which explains the concept and demonstrates how this has been taking place in China in areas such as food shopping and car shopping. ← Caffeine: How Much Does Roasting Affect it?